Drugs and medical devices travel a long distance between a lab and a pharmacy counter. Clinical trials constitute a vital part of this process. A large number of medical specialists (in-house, part-time, etc. ), FDA employees and other experts collaborate closely to develop a good medical product. Clinical trials are a profitable business that has attracted many companies. Each clinical trial project unites medical professionals, laboratories, and other individuals and institutions. 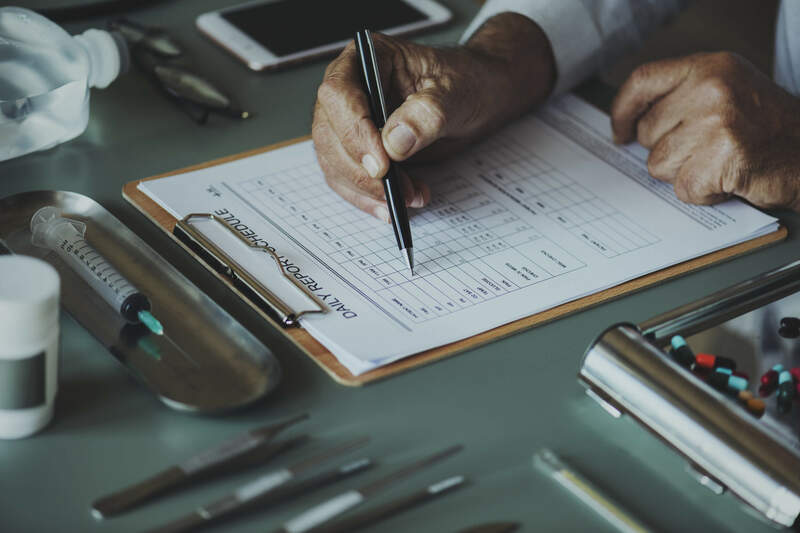 Clinical researchers produce a multitude of documents containing test results, physicians’ notes, information about products’ clinical uses, drug performance, and more. All these documents can be used in a secondary research after a pharma company brings a new drug or device to the market. But how often are they reused in reality? The traditional paper-based approach adopted by clinical trial specialists tends to noticeably slow down the process and results in terms of time and money losses. Companies exchanging documents via emails or cloud storage platforms (e.g. OneDrive) gain just a small advantage over their competitors. Providers of clinical trial research services appear to be increasingly interested in adopting software solutions that ensure fast and secure document management and accelerate the collaboration between clinical trial participants and the customer. Companies rendering clinical trial services rarely have their own IT departments able to create a document management system they need. That’s why they have to turn to custom software developers to get an effective solution. Clients, since they lack IT knowledge, rarely reach a full understanding with vendors at the start of the project. If customers aren’t able to explain what they want exactly, an IT company might find it difficult to figure out what system they need. Here are some essential things for the developer to consider when building a management system. Clinical research is a serious business, and medical managers may not find enough time to respond to multiple emails with queries about project details. Keep in mind that the client might not have worked on a software development project. Also, the customer won’t be able to share their thoughts until you offer something. Don’t be afraid to email the client or give him/her a call if you feel that you’ve missed something important concerning the project. Your job is to develop an effective product, and the customer’s interested in discussing the requirements. How many people should access the same document? Where are these people typically located? How often will they use the product? What types of files do you send? Rely on words but also pay more attention to detail in order not to miss some important features that the client needs. Beyond that, researchers may omit some vital details, as they believe you already know them (and you don’t). Listen to your clients and never miss a word – this information may turn out to be helpful later. It’s a brilliant idea to go through all the stages by yourself. Send an employee to the client’s office or schedule a video call to see how participants of a clinical trial project work with documents. From the earliest times, people have used paintings to exchange valuable information, and they continue to utilize them today. What will you do if a foreigner asks you to give him/her directions to a tourist attraction in a language you don’t speak? You’ll certainly draw the directions with a pen or pencil if you have any on you. It’s wise to use paintings to communicate with the customer. Here, at Softvelopers, we discuss project details with our team; we also tend to draw wireframes in the pre-design stages and ask a designer to formulate a design proposal. The design proposal will help the client see what the solution may look like, which features and functionalities it may have, etc. The managers on the client’s side will be able to suggest changing images we share with them, thus simplifying collaboration and avoiding misunderstanding. A colorful interface, animation and other features that gauge users’ interest are certainly important. But put the functionality first. For example, don’t use too many images or color combinations or let users change fonts by themselves. If you’re asked to develop a non-commercial product, create the interface that’s pleasant to look at (not more). Feel free to choose colors that are associated with medicine (white, blue, and green) or any other colors that the client likes. Medical experts are busy people, aren’t they? They can’t lose their time opening your app to check whether they’ve received a new file. So, make sure to use email notifications and home page notifications in your app. Consider developing a mobile app, too: users may not always have a chance to access their account from a PC or laptop. In the meantime, smartphones accompany them everywhere. So, give your customers the opportunity to install an app on their devices to receive push notifications, access their profiles, and more. Assign different roles to users: create an Admin account to grant the customer a chance to see what’s happening, manage permissions, add and remove user accounts, create new projects, etc. The client approved the product’s latest version, and you’ve received the final payment. But this game is still not over. No matter how good your solution is, the customer may want to make some changes (e.g. to add new features) later on, after he/she starts to use the product, even though the final version of it seemed to fit all the requirements. Many establishments that fail to properly organize document management can turn to an IT company to get document management software that’ll improve the collaboration between medical professionals and increase their operational efficiency. In this article we’ve tried to show IT vendors how to interact with the customer to develop a perfect solution and help streamline clinical research projects.